About Me | Adopt An Oregon Dog! I am a retired elementary teacher. My husband and I moved to Salem, Oregon in 2006. Since I have always loved dogs, I decided to volunteer at Willamette Humane Society and started walking shelter dogs on Wednesday afternoons. I began taking pictures of the dogs I walked just for fun, but soon found myself writing a blog about the shelter dogs, trying to help get them adopted to great homes. I now take all of the dog pictures for the WHS website. 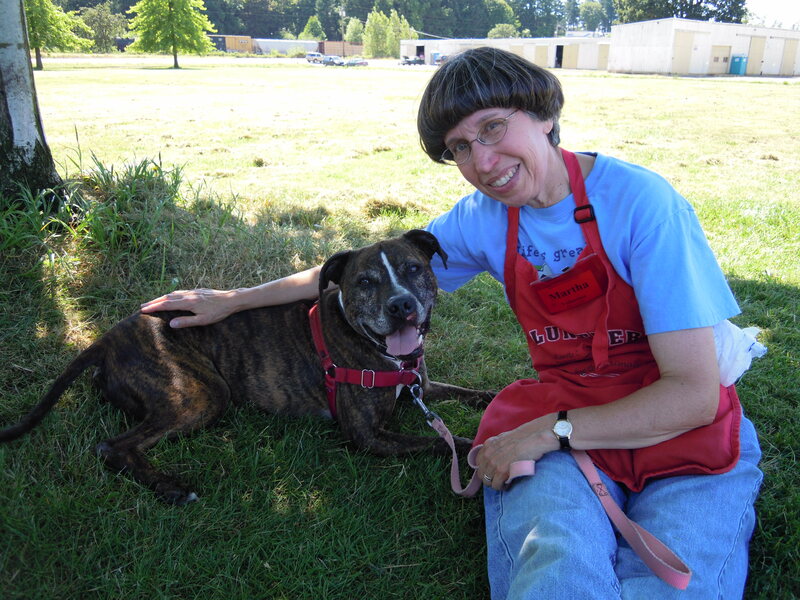 I also assist with Sunday dog play groups, help with educational programs and am the Wednesday Volunteer Team Captain. I have met wonderful people in the staff and volunteers at the shelter and, of course, have fallen in love with many, many dogs. Spike most of all. I really like your new format Martha! Keep up the stunning pictures and great work-we need you!! thankyou for doing this site and for all you do at the humane society, you are a very important and special person! You are a beautiful soul..
WHS is very fortunate that you and your husband moved here.You are a great friend to the shelter dogs and do so much to help them,and Rickey the cat too.Spike and the dogs are lucky to have you there. Martha, keep up all the wonderful work you do!! You are awesome!! WOW. What a great presentation. Our little furry folks are lucky to have someone like you. I hope you find the perfect dog for you. You are right, they can be your very best friend. Good luck.